We all love marshmallow rice treats. They are sticky and oozing with celebratory goodness. For some of us, they transport us back to our childhood. They might even make us want to be a kid again. Well, every kid and kid at heart is going to LOVE this fun little treat. No one is going to want to return this to sender! 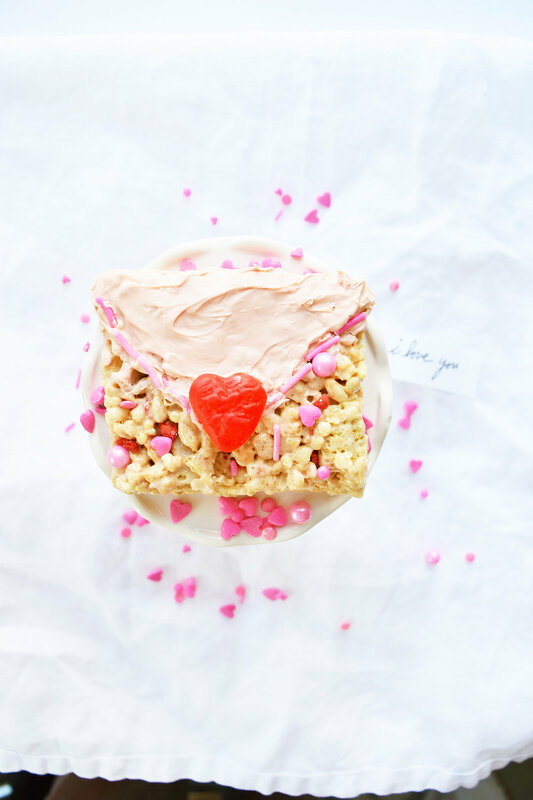 It's a bit complicated to assemble, but with just the right ingredients and a bit of time, we can turn these sweet little marshmallow treats into lovely, tiny, and edible valentines. Step 1: Butter a 13 x 9 x 2-inch pan. Line the pan with parchment paper. Make sure the paper hangs over the edge approximately 2 inches on each side. Step 3: Remove pan from heat and mix in the marshmallows until the marshmallows are melted and smooth with the butter. Mix in the salt, rice cereal, and freeze-dried strawberries. Stir until combined. Step 4: With a buttered spatula, press the rice mixture into the bottom of the pan. Cover the top with the sprinkles. Let sit for 20 minutes. Using the overhanging parchment, pull and place the entire slab of rice treats onto a cutting surface. Cut into 2.5" x 3" rectangles. Step 5: In a microwave-safe bowl, heat the white chocolate melting wafers in 15-30 second intervals stirring until smooth. Using a butter knife or an offset spatula, decorate the rice treat with a triangle on the 3-inch side to look like a flap of an envelope. Dip the back of the gummy heart in the white chocolate and place at the tip of the white chocolate envelope flap. 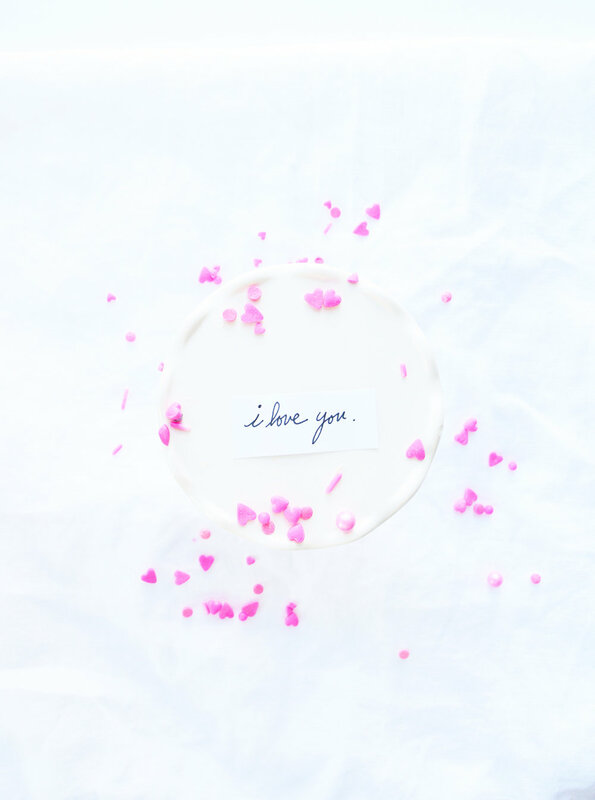 Let cool and serve the same day with your valentine message. May your bellies be full of hearts, marshmallow goodness and sweet notes of love!